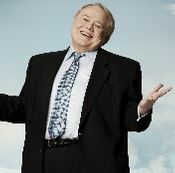 Louie Anderson at Plaza, save on tickets! Louie Anderson is performing at the Plaza, Downtown, Las Vegas. Finally there are a few choices of Downtown Las Vegas Shows that are the quality of the Las Vegas shows on the strip. Louie was at the Palace Station but when the offer came from the “New” Plaza, He jumped on it. the Plaza is all new and the management went after Louie knowing He would fill the theater. You probably saw Him on “Splash” so You know He is a big guy and a lot of His jokes reflect that. Once He was on the show He started improving His health so look for a smaller Louie staring at the Plaza.